If you want to save money on lighting in your home, the best way is to avoid using incandescent bulbs. Other options are far more energy efficient and will save you money in the long run. Most people like the warm light that incandescent provides, but technology is improving, and there are alternatives that have the warm light that is attractive and cozy. Motion sensors don’t lower your upfront costs of buying lighting, but you will notice savings in your utility bill if you install them in your home. It is wasted money when you forget to turn off the light when you leave a room; people with children may find this an especially relevant issue in their homes. With a motion sensor, this problem is eliminated because the light is only on when someone is in the room. Similarly to using motion sensors, the savings you see here will appear on your utility bill. When you install dimmer switches, you can control the amount of light and adjust it to your needs. This can decrease your electricity usage. Another advantage of this option is that lights can also be adjusted to fit with people’s circadian rhythms. You can dim the light as it gets closer to bedtime. It may be simple to find an online lighting store that will ship lighting fixtures. What will save you money is finding a company such as Crescent Harbor Modern that will charge you nothing to ship the products you order right to you. This can end up providing you with significant savings, depending on the size and weight of your order. Many people only consider the aesthetics of the lighting fixture when they make their purchase. This can be a waste of an opportunity to save money. 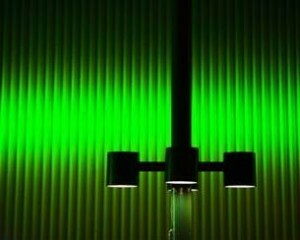 If you are smart and buy lamps instead of expensive overhead fixtures, if you install motion sensors and dimmer switches, if you avoid using incandescent bulbs in your fixtures, and if you look for a lighting supplier with free shipping, you are sure to save yourself a significant amount on your lighting purchases.